All of us want to be better bagpipers, right? Bagpiping is one of those art forms that never stops giving and compels people to never stop working. 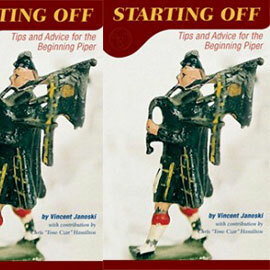 That is essentially what is at the heart of previous posts such as “5 Ways to Become a Better Bagpiper” and “5 Ways to Build Good Practice Habits.” Those posts gave the piper some handy exercises to collect and focus your thoughts about how you do this bagpipe thing. Here is another exercise: Take a piece of paper and a pen. Now, What is the next physical action you can take to be a better bagpiper? Spend 30 seconds thinking and writing the first thing that comes to you. What did you write? Hopefully it was something that makes sense to you. Whatever it is, your next task is to actually do that thing before you do anything else piping-wise. Think about the other tasks or efforts that will be required to achieve what you wrote down. 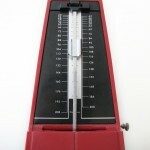 Overall, that thing may take a day, a week, or a series of practice sessions to accomplish. 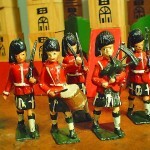 However long it takes you, no one can argue that you will be that much a better bagpiper after you’ve accomplished it. How can you not be? This little exercise (and the others in previous articles) is an illustration of the built-in effectiveness of deliberate practice when you have an established framework or model within which to work. Active pipers work hard. We know that. You work hard. Of course you do. But if improvement is proportionate to the amount of work done for that improvement, then the USA should be densely populated with solo bagpipers and pipe bands playing at a level equal to that of the best in the world. But that is hardly the case. The reason is that most of us practice mindlessly. A typical familiar scenario is a piper drilling through their solo MSR over and over. We practice a lot, but our brains are rarely engaged nor are we really addressing the specific things that will improve us with deliberate attention. The evidence exists in the simple lack of actual improvement one hears after such practicing. And before you cry out in protest, know that this is very common. Professional working symphony musicians suffer from the same flaw in their practice routines, and practicing and playing is their livelihood. Although the majority of us bagpipers do this as a spare time avocation rather than a full-time occupation, the concerns and issues driving our performance, our development, our practice, and our general enjoyment with the instrument are no different. If someone told you can improve faster by practicing less, would you do it? Of course you would. Who likes to practice? It can be a chore and about as much fun as doing laundry. Plus, it may seem like the more time you spend practicing the less real improvement you hear. But the object is to practice deliberately and smarter, with faster results, and that does not necessarily mean we spend more time. So how do you practice smarter? In order to practice smarter, you need a consistent practice routine or model, a framework that you can follow for all aspects of your practicing, something you can count on to give you results. 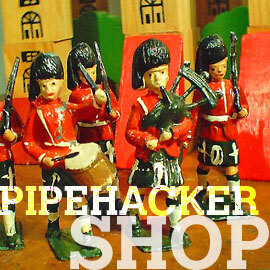 A model you can use each time you pick up your practice chanter or bagpipe. Think of each E as a stage to address specific areas in your playing. Applied in turn (and completely), they will force you to mindfully address aspects of your playing and produce results in a way that simple repetition cannot do. The Es provide a template for your practice activity and purpose to your efforts. Examine—The first of the Es forces you to define the trouble spots and identify areas of improvement by carefully listening to (or watching) your own playing. Clearly understand what you are trying to achieve. Ask yourself questions. What is it supposed to sound like? What is causing it to not sound like I want? 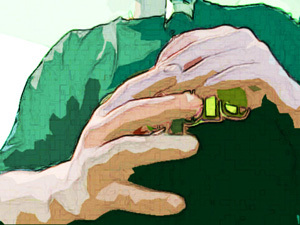 Analyze what is happening physically and audibly and pick targets for your efforts. Explore—Identify potential solutions and play around with them. Experiment with different approaches. Treat your practice space like a laboratory. Build an understanding of what makes each approach worthwhile or not. Find the approach that works best for you that gets you to the result you need. Execute—Implement the solutions and make them permanent. 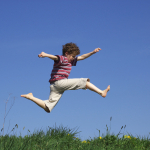 Build the auditory and kinesthetic memory needed to establish the improvement forever. Evalutate—Periodically repeat the first E and determine whether your solution is getting you the results you want. Continue to cycle through the Es until your goal is achieved. The Es can be used to set goals large and small and everything in between. Use the Es for whole portions of your repertoire (e.g., 2/4 march playing; reel playing) or specific parts of your playing (e.g., GDEs; crunluaths). The important thing is spend your time purposefully and deliberately on the things that will make you a better bagpiper. So now you’re thinking, “That’s great, but just how do I go about each E?” I’m glad you asked. Here is a sample exercise or path you can take for just about any playing goal using the Es. Record yourself. But more than that, listen to yourself. Some players may have a good sense of where they need improvement, others may need to spend time listening to their own playing. 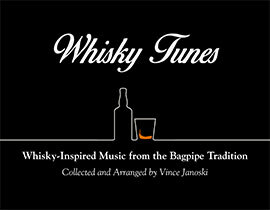 This can be on practice chanter or the full pipe. If you don’t already have one, go get yourself a portable digital recorder, or use your laptop computer. You can even use your new Android smartphone. Play living room judge with your playing and be critical and brutally honest. There is not a bagpiper out there who cannot find a few aspects of their performance that could use improvement. When listening, write down some things that jump out at you. It could be your timing of phrases in the second part of the tune is too fast, or your doublings are not that clear, or that tricky bit with the D throw in the third part is kind of sloppy. These are specific things that require action. Once you’ve selected possible spots requiring improvement, spend some time working through those spots your usual way but really listen and feel how your fingers move. Break down your playing into its individual components (i.e., notes, gracenotes). Think about why they don’t sound right. 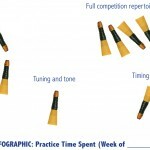 Try different approaches or ways of playing to get those spots to sound like you want. You can even listen to recordings of the top players and how they might tackle similar spots. Try to duplicate what you hear. Try something else. Record what you’re doing and listen again. Repeat. The idea is to try different things and deliberately address the areas you’ve chosen to identify your solution. Eventually you will find a groove and hit on the right approach that gets you to your goal. Your recordings will (or should) start sounding pretty good in those spots. Incorporate your chosen solutions back into the context of your performance, into full tunes, or sets. Focus on those newly improved trouble spots and establish the habit to hit them each time. Listen carefully and strive to get your new improvement to sound the way you want each time. Struggle through mistakes. Don’t stop until the improvement is happening naturally and comfortably. Record your new efforts and assess whether you have achieved your intended goal. Is there better clarity in your doublings? Does the phrasing of your march sound more musical? If there is any doubt, return to step 1 and repeat. Bored? This process can take 10 minutes or 10 practice sessions to cycle through depending on what you’re trying to accomplish. It may sound dull and monotonous but the good news is, if you follow these steps, you should notice results right away. Start small with elements of your technique and use the Es to hit your weakest gracenoting. 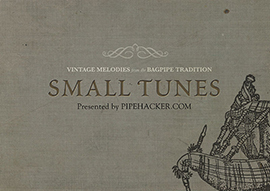 You can even use the Es on areas of physical bagpipe issues such as stance or blowing. From there, you can move on to larger issues of musicality and expression. Stick with it and soon you will be Practicing with Es. P.S., Once you get into the habit of Practicing with Es, you will begin to amass a great deal of information as you delve into the finer details of your playing. 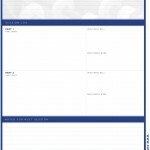 A practice log or notebook is a great tool ideally suited for this task. You can begin by downloading a sample practice sheet here, or, better still, might I recommend The Piper’s Practice Log, a book that fits the bill. Your articles are very helpful!